Do allergy attacks affect productivity in your workplace? Here are some practical tips to make the office or business facility free from allergens and other allergy-causing substances. Allergens in the workplace may cause problems not just to staff with allergies but also to customers and clients who drop by for important transactions. Allergy sufferers may not be able to tolerate allergy attacks especially during days that are crucial to production. Thus, the company’s overall productivity can be affected. 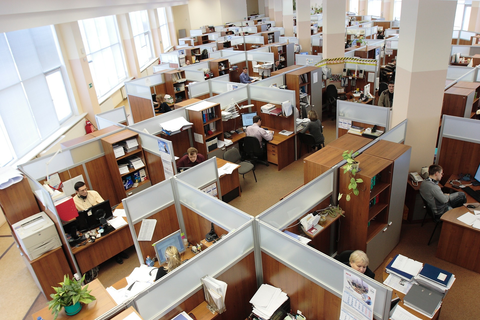 Indoor allergens that are common in workplaces include fungus spores and dust mites. Other microscopic substances can also trigger allergic attacks to sufferers like pollen sticking on people’s clothes and mold growing on air conditioning units and damp areas within the workplace. Other helpful measures should be observed to ensure an allergy-free business site or office. Here are some effective tips. Getting rid of those stacks of paper piling up on your desk can be an ideal first step towards making your workstation allergy-proof. This is because those items can eventually collect dust and irritant particles. Observe efficient filing system to set aside documents that are not immediately needed or papers that have already been processed. Also get rid of used coffee cups and untidy food containers that can have presence of molds and several other allergens. Wipe dust off the surface of your desk, computer monitor, picture frames, and other furniture/equipment at least once a week. Using damp, clean cloth to do it will surely help get rid of dust and other unlikely particles that can be allergens. Regularly clean your landline phone unit using soft cloth and alcohol. Even if the maintenance personnel regularly tidy up the workstation, it will be best if you will always make sure your area is clean all the time. It is still highly advisable to eliminate dust through using vacuum cleaner as frequently as possible. Vacuuming high-traffic areas in the office more frequently can help prevent sinking of dust or dirt too deeply into any type of carpet. It is advisable to make up to three passes of the vacuum cleaner over areas where there is not much apparent deposit of dust and about five to seven passes on heavily dusted areas. The experts recommend the use of vacuum cleaners with high-efficiency particulate absorption (HEPA) filters to make sure accumulated dust will not spill and return to indoor air. Many offices now install air purifiers to keep indoor air free of allergens like dust particles, pollen, dust mites, and mold spores. This efficient filtration system can be most helpful in work places where chemicals are stocked, customers always come, and piles of documents are inevitably accumulated. If possible, make the office smoke- and fragrance-free. Doing so will help prevent allergy attacks of officemates who may not even be aware they have allergies in certain perfumes. The photocopier should be turned off when not in use and the area where it is located should be well-ventilated. Ozone and other emissions from the machine like nitrous oxide, carbon monoxide, and other volatile organic compounds can exacerbate asthma or develop its symptoms as those pollutants can possibly irritate the airways. Formaldehyde fumes from wooden furniture can lead to similar allergy symptoms. Not surprisingly, office decorations, picture frames, and other wall ornaments easily catch and accumulate allergens. Adopting a minimalist office layout will work in favor of those with allergies. As much as possible, avoid installing heavy curtains that can harbor dust and dust mites. Even plants are not safe inside the office as soil or gravel in pots can possibly be an ideal breeding ground for molds. While necessary measures are carried out to make the workplace free from allergens, sufferers may try medications that can help manage the inconvenient symptoms of allergy. Antihistamines continue to be a first-line treatment for allergic rhinitis. They work by inhibiting histamine receptors to block the action of a chemical in the body called histamine, which causes watery and itchy eyes, runny and itchy nose, and sneezing---all symptoms of allergic rhinitis. 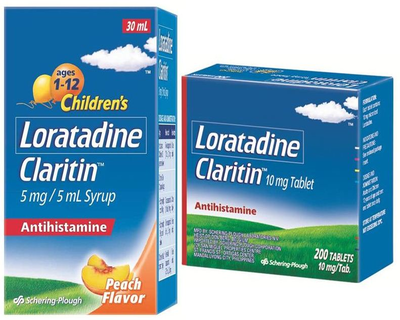 Claritin is an antihistamine that helps manage allergic rhinitis. Unlike other antihistamines, Claritin won’t cause drowsiness when used as directed so office workers and other professionals can stay alert and focused throughout the day.